A beautiful town rich in history and culture, is located on the Lazio coast. Born as an Etruscan settlement at the end of the Sixth Century BC it was known by the Volsci name of Anxur. Many evidences of this population remain such as the cyclopean walls and the Temple of Anxur. The visible one today dates back at Romans time. Under the effigy of the Roman Empire since 406 BC, Terracina, became a very important port. In those days it was considered one of the most important of the Mediterranean. In the eleventh century became part of the Church Reign and saw the coronation of Pope Urban II. Later it was contested by several Sovereing such as Frangipane or Annibaldi until 1800 when it went back under the Pope’s control till Italy’s unification. Pontine archipelago consists of two island groups: the first one includes the most northerly Ponza, Gavi, Palmarola and Zannone and the second one the most southerly Ventotene and S. Stefano. 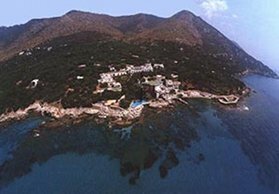 For its natural beauty was considered a resort since Roman times. The city developed greatly during the Middle Ages thanks to the increase of the maritime activities. 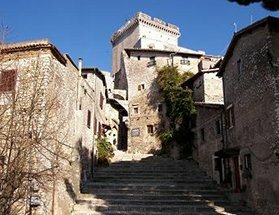 The city, over the centuries, has hosted many Popes in the Angiovino-Aragonese royal castle and the city perfectly preserves many churches that testify its former glory. It was the last city of the Bourbon Kingdom to surrender following the unification of Italy conflicts. During the years there are numerous festivals and historic events that enliven the town. 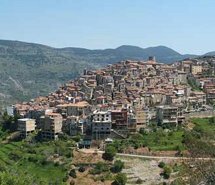 Settled on the peak of a rocky outcrop marked by an old tower (Truglia), the city takes its name from the natural caves - speluncae - that open along the coast. The beauty of the coast did not escape the Romans and especially the emperor Tiberius, who built a vacation home, using a cavity at sea level which is commonly known as the Grotto of Tiberius, where now you can find a small but interesting museum. Still in use are the fishery ponds. The city proudly preserves its beautiful original core consisting of a set of small whitewashed houses decorated with colorful murals. The legend wants the town founded by Hercules, however reliable sources indicate the presence of first the Aurunci , followed by Volsci and then the town fall under the Romans. The town was known in the antiquity for its wine Cecubo. The city survived through many conflicts from the Lombards to Saracens in the Middle Ages until his contention by noble families. In 1378 Clement VII, the antipope, was elected by the Conclave. The baronial castle is the best preserved monument. It is the most well preserved and interesting medieval center of the Lepini mountains, surrounded by big in city walls. 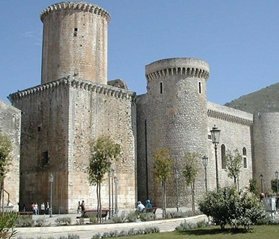 Of particular interest is the castle of Caetani, home to famous personalities including Lucrezia Borgia and the Abbey of Valvisciolo. Just a few km away you can easily reach the beautiful botanic gardens of Ninfa, worth a visit even from Prince Carlo and the late Princess Diana. The ancient historical centre is located on the hill and the legend wants it was inhabited by sorceress Circe, the one who tricked Ulysses . It is thought that the cave of the sorceress, to be visited only by sea, is situated 2 km from the town center. Important archaeological discoveries have being made here in San Felice, in a cave was found the skull that experts believes belongs to the Neanderthal human species. This important finding confirms that, approximately 70,000 years before Christ, this place was already inhabited. An interesting museum worth visiting displays all the prehistorical findings of the area. 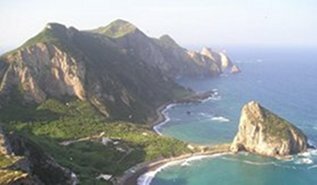 The country is part of the Circeo National Park where you can do many activities like a walk in the park and birdwatchng. Latina is one of the few cities we know its precise date of birth: December 18, 1932. 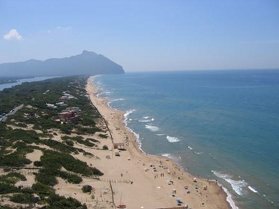 Under the name Littoria, was the first "new towns" created by the reclamation of the Pontine Marshes: the other one are called Sabaudia and Pontinia. The city has an octagonal plan and is limited by wide avenues which may soon reach all major public offices. Sabaudia is a modern city symbol of the rational architecture under the fascist period. 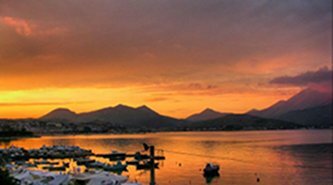 It is beautifully located along the banks of the lake, once known as the "lake of Paola" and also "Lake of Soresca". 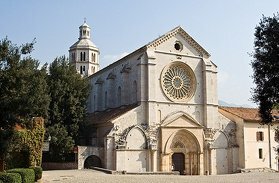 You can find there a typical sanctuary of St. Mary of Sorresca. The lake is separated from the sea by a series of dunes. Pontinia was founded in 1935 near the lake of the monks. It was once the undisputed realm of "anopheles" the mosquito responsible for spreading malaria, you can find all the history of the marshes in the Museum of Malaria. Pontinia ‘s architecture is important because it was built for the tenants, who had to work the marshes to make them in fertile lands. Even today it can be described as a small hardworking town. Pre-Roman city and later medieval noble household strife. Famous for the story of Gasbarrone, a bandit (brigante) and its museum dedicated to banditry. City founded by Volsci and then subjected to the Roman Empire after a bloody war. In the Middle Ages was always the area of influence of the papacy. It was destroyed in the sixteenth century by the Saracens and then rebuilt. In the central square stands the Cistercian-Gothic cathedral and of considerable architectural interest is the Municipal Palace. 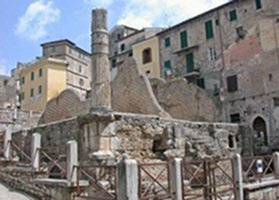 It is worth visiting the museum in the historical centre and the archaeological site of ancient Privernum just a few kms away from the modern town. Only 6 km away from Priverno there is the beautiful well preserved medieval town of Fossanova. The Fossanova Abbey, a Cistercian monastery founded in 1135 with a Gothic portal, where St. Thomas d’Aquino died, it is one of the most famous Cirstencian Abbeys in all Europe.